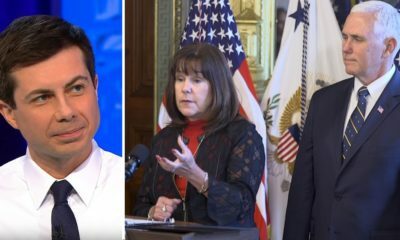 Anti-LGBT protesters on Wednesday appeared at an Iowa campaign event for Democratic candidate Pete Buttigieg dressed as Satan and Jesus less than 24 hours after protesters yelled at him about the biblical cities of “Sodom and Gomorrah” at a different event. 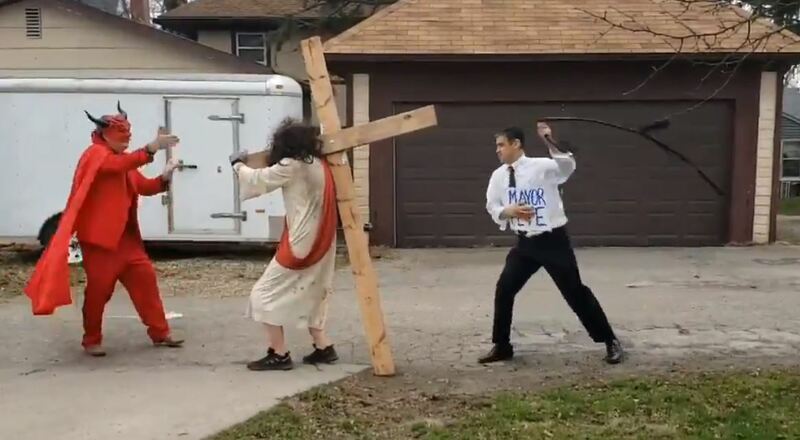 One protester, dressed as the South Bend, Indiana, mayor, appeared to be whipping the actor dressed as Jesus, according to videos posted to social media. Protesters at @PeteButtigieg meet and greet — this time it involves actors dressed as Jesus, Satan and the mayor. 75+ people gathered here in Marshalltown, waiting to hear from the mayor. Buttigieg, who has been outspoken about his Episcopalian faith and has publicly called out Vice President Pence’s opposition to gay marriage, is the first openly gay Democrat to run for president. 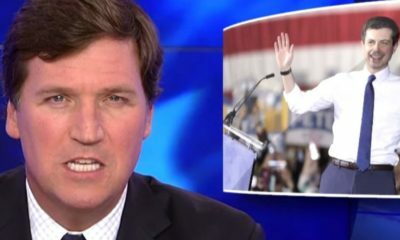 When two protesters interrupted Buttigieg on Tuesday by shouting “Sodom and Gomorrah,” the crowd of 1,650 people quickly drowned them out by chanting Buttigieg’s name. “The good news is the condition of my soul is in the hands of God, but the Iowa caucuses are up to you,” Buttigieg said in response to the hecklers. Pete Buttigieg on protesters: "It's a part of politics. I think it goes best if we can communicate our disagreements respectfully without interruption or that kind of disruption, but I understand it comes from a very passionate place and I respect that."